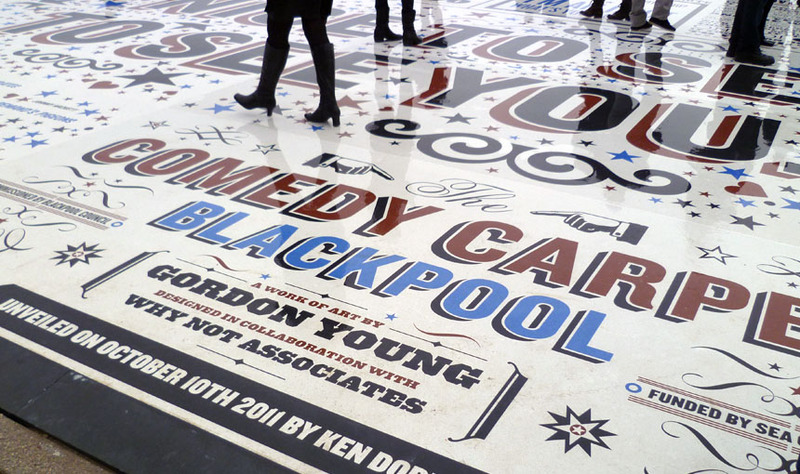 The Comedy Carpet in Blackpool – a seaside resort town in the Northwest of England – is a typographic celebration of comedy in a grand way. The 2,200 sq. meter installation contains over 160,000 granite letters embedded into concrete, making it virtually impossible not to tip toe through the type. 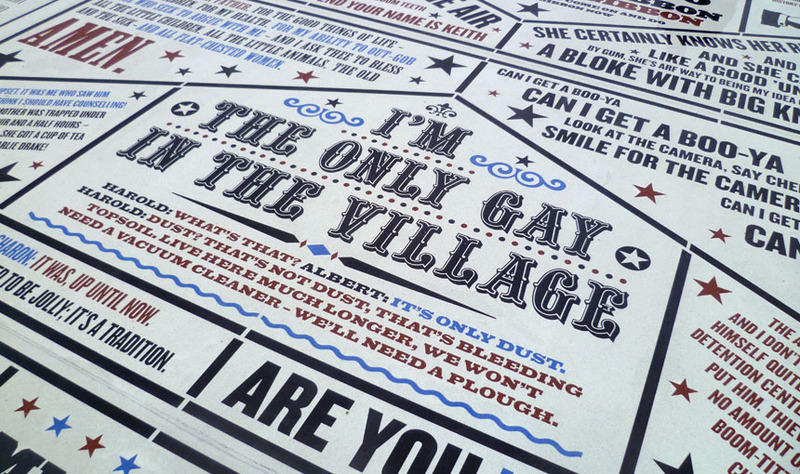 A super-sized homage to those who have made the nation laugh, as well as to wood type, the amazing sculpture, that will also act as a stage, was designed by Gordon Young with typography by Why Not Associates (both previously mentioned in Architypeture I) and inspired by old theater posters and playbills. The jokes span a full range including one-liners, catchphrases, gags and sketches, with something for everyone’s sense of humor…or not. This entry was posted in Architecture, Art, Fun, Graphic Design, Typography. Bookmark the permalink. Now that’s my type of carpeting! Heidi Gloppen reblogged this on Heidi Gloppen.